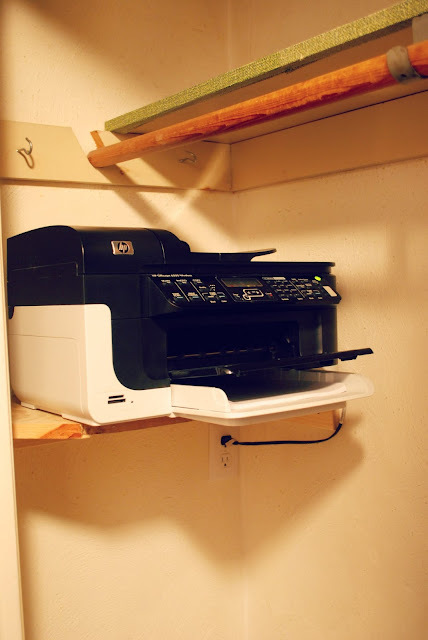 Sometimes things just need to be functional, like this shelf we built for our printer. We don't have a dedicated office space, just a corner in our cozy kitchen. In fact, we bought a different computer, a monitor/computer combination, because of our lack of space. Although that helped, it still didn't leave any room for our printer. So we decided to build a shelf for it in a nearby coat closet. Plus, I'm a shorty. (I seriously have to have stools stashed everywhere around my house.) So by building it ourselves, we accommodate my vertical challengedness. Its not pretty, and I don't have any current plans to doll it up either. But it fixed a problem and makes our home work for us. You'll have to forgive the photography. There isn't any natural light in our coat closet. Determine your shelf measurements and cut to size. 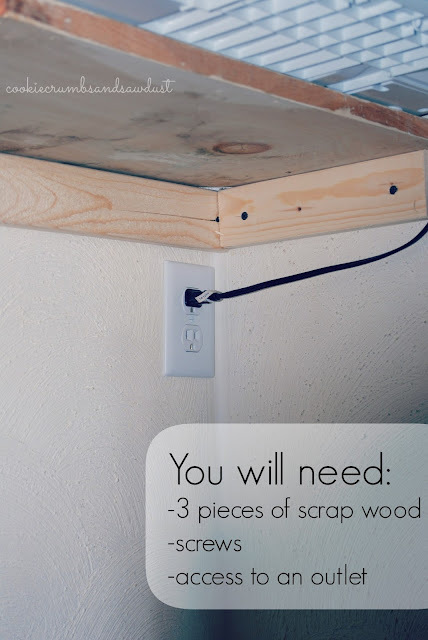 Place the shelf directly onto the supports. It should be snug to the walls. We used scrap wood, but you can paint it, stain it, or make it as elaborate as you want if yours will be more visible. 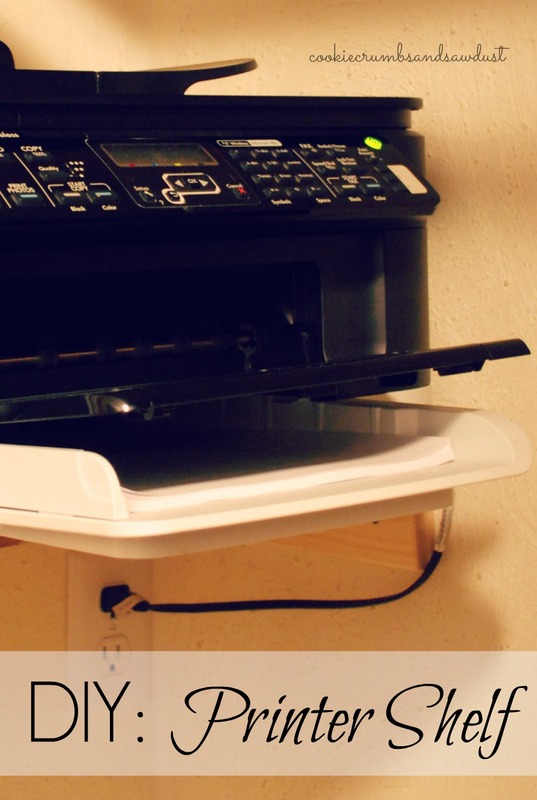 You could use this idea to customize any closet or pantry space. How do you customize your home?